Versatility the name of the game here and it’s great to see the guys at All City offering customers the opportunity to easily extend the life of their bike as well as enabling them to be used in ways not normally associated with a trail shredding beast! 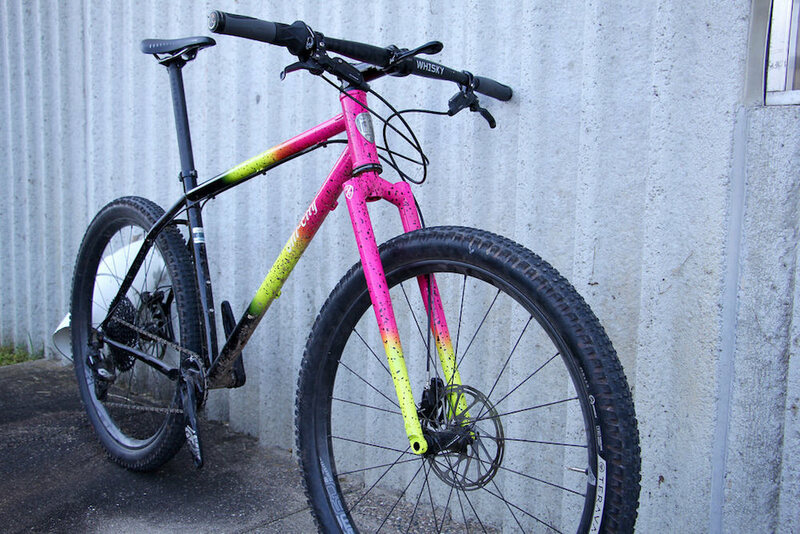 The Electric Queen is the companies take on their dream “Trail” hardtail. Short wheelbase, aggressive geometry, 120mm suspension fork, and fits 27.5 x 3.0” or 29 x 2.25” tires. 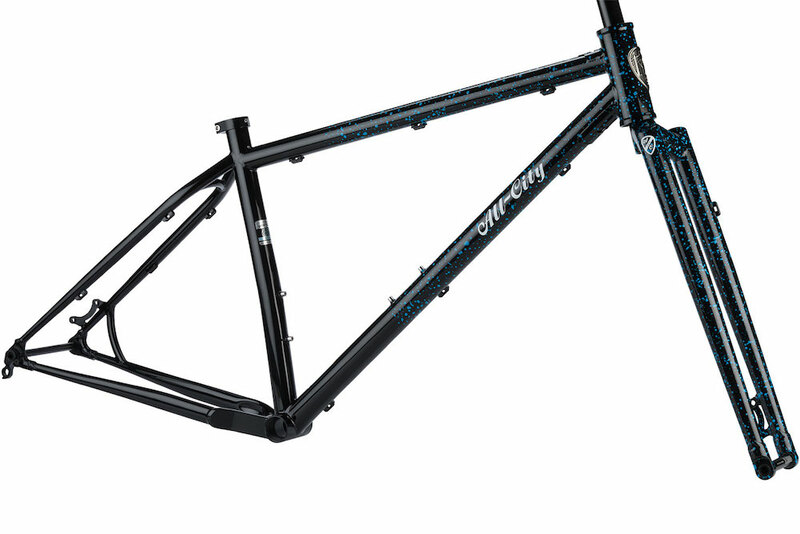 However, their latest Cyan Splatter paint way is not only being offered as a frameset, but includes a new painted to match segmented rigid fork to compliment the steel frame. From bikepacking trips to a future daily commuter (years down the line) a rigid fork will keep you loving your Electric Queen for decades to come. Check out their full article over on the All City blog and contact us about getting hold of a painted to match fork for you if you bought a complete build or have the original yellow/pink/black fade frame.